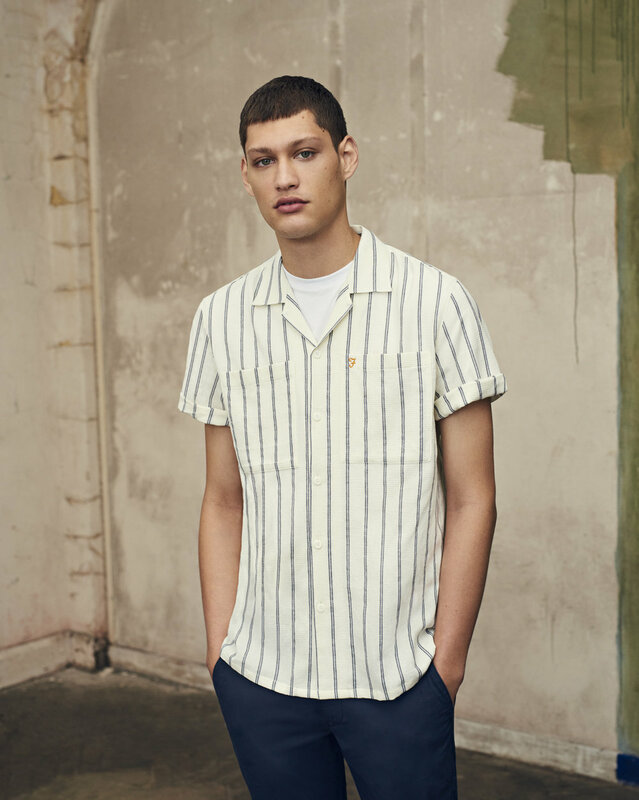 The late 80s/ early 90s fashion revival appears to show no signs of abating if the newest collection from Farah is anything to go by. 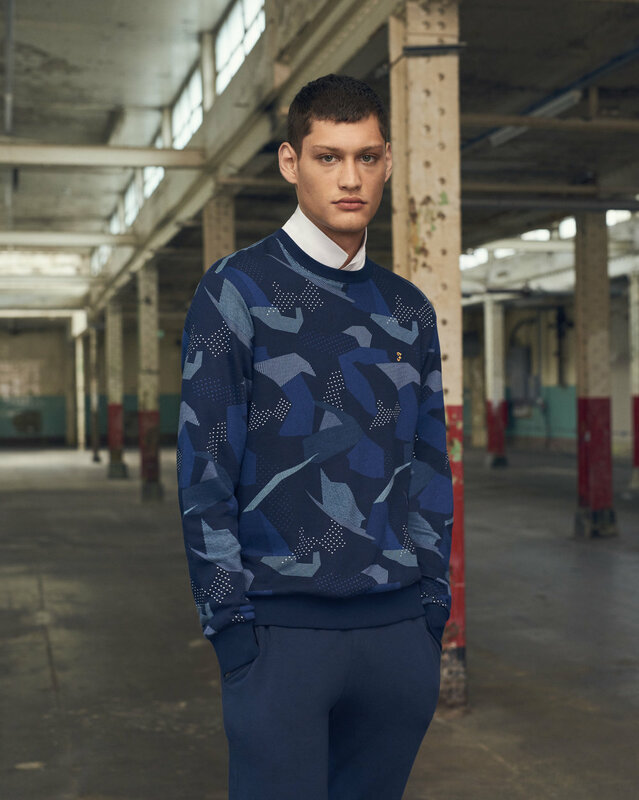 The affordable and contemporary menswear brand have looked to those hedonistic days, specifically to Manchester where a whole host of artists, designers and musicians were defog culture in a way that would dominate the next decade. In a time where club culture was a very real thing, the relationship between fashion and music was significantly more intrinsically linked that it is today. 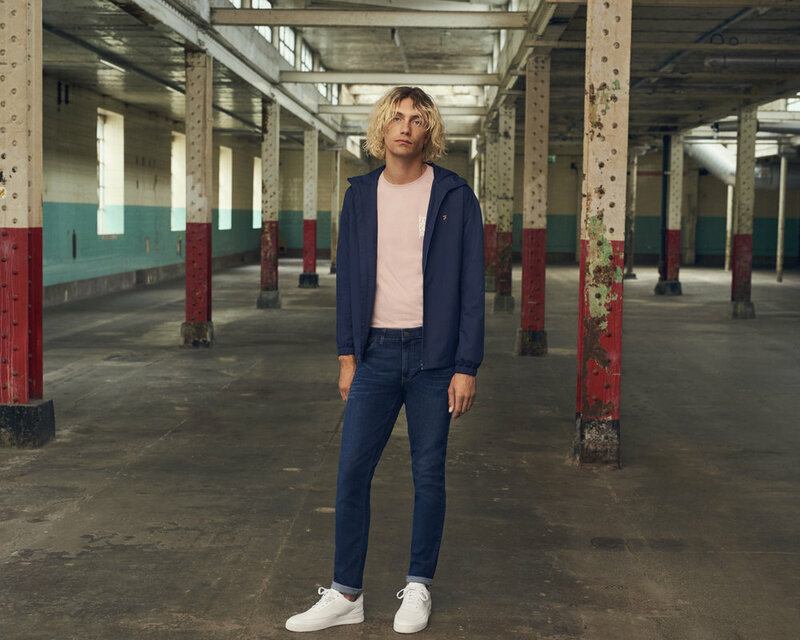 The Farah collection takes inspiration from Mr. Peter Saville - a partner in Factory Records, Manchester and the man that designed iconic album covers for the likes of Pulp, New Order, Joy Division and many more. His designs were graphic in nature, bold in colour and arresting visually. As well as designing album covers, Savile was the man behind the interior of the famed Hacienda nightclub; the embodiment of the cult acid house and rave sub culture. How does this translate into a collection for spring from Farah you may ask? Well, it does in many ways. The bold yellows, greens and blues of the range could have been lifted off any of those album covers. The Hacienda hazard stripe and New Order’s pill artwork are subtly referenced on T-shirts and knits. Further club references can be found in the print and jacquard featured throughout jerseys and swimwear, while texture is the big selling point for spring shirts that include waffle checks and stripes and twisted yarn materials. Wear with summer shorts and a youthful, nostalgic attitude. Shop the collection and explore further at Farah.